Add another level of luxury and comfort to your shower or sauna experience. Featuring a cool to the touch teak wood that offers both waterproof protection and a non-slip surface while looking stylish. Contrasted by the polished metal bracket system the natural teak looks great and offers a practical comfortable accessory to your bathing space. Whether its a refreshing shower after a long day at work or enjoying an extended stay at a steam sauna to sooth and relax both body and mind our shower seat will offer just that bit of extra comfort and support you need. Create a seating solution for your walk-in shower or sauna space. Folds up for efficient use of space. Capacity: 350 lbs. Wall Mounted Shower Bench in Chrome Trim Add another level of luxury and comfort to your shower or sauna experience. Featuring a cool to the touch teak wood that offers both waterproof protection and a non-slip surface while looking stylish. 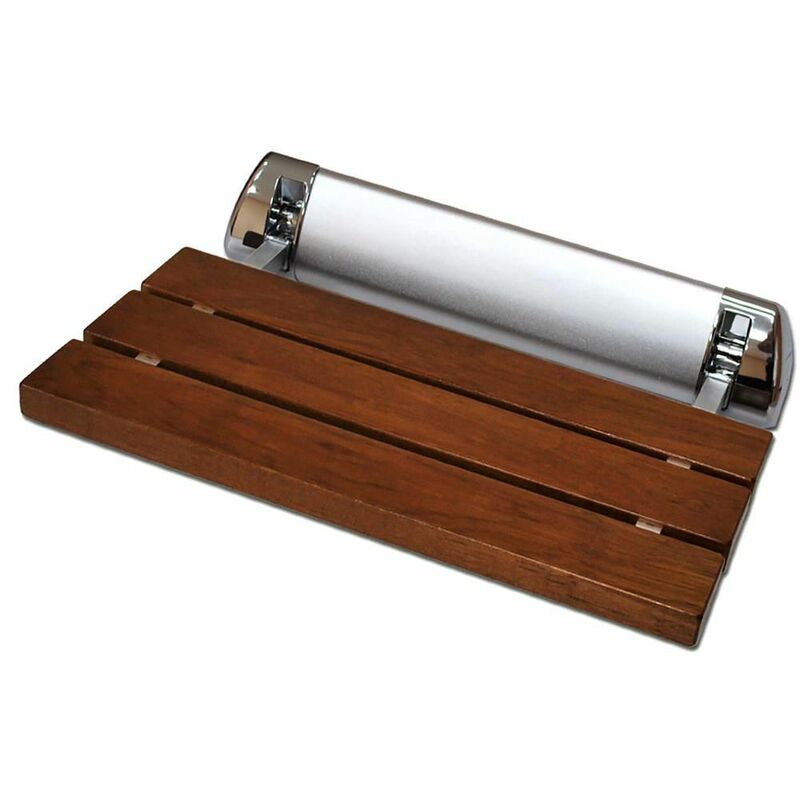 Contrasted by the polished metal bracket system the natural teak looks great and offers a practical comfortable accessory to your bathing space. Whether its a refreshing shower after a long day at work or enjoying an extended stay at a steam sauna to sooth and relax both body and mind our shower seat will offer just that bit of extra comfort and support you need.